This volume collects twenty original essays on the philosophy of film. 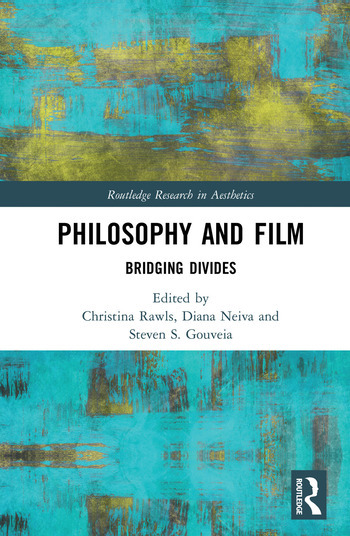 It uniquely brings together scholars working across a range of philosophical traditions and academic disciplines to broaden and advance debates on film and philosophy. The book includes contributions from a number of prominent philosophers of film including Noël Carroll, Chris Falzon, Deborah Knight, Paisley Livingston, Robert Sinnerbrink, Malcolm Turvey, and Thomas Wartenberg. While the topics explored by the contributors are diverse, there are a number of thematic threads that connect them. Overall, the book seeks to bridge analytic and continental approaches to philosophy of film in fruitful ways. Moving to the individual essays, the first two sections offer novel takes on the philosophical value and the nature of film. The next section focuses on the film-as-philosophy debate. Section IV covers cinematic experience, while Section V includes interpretations of individual films that touch on questions of artificial intelligence, race and film, and cinema’s biopolitical potential. Finally, the last section proposes new avenues for future research on the moving image beyond film. This book will appeal to a broad range of scholars working in film studies, theory, and philosophy. Christina Rawls is Professor of Philosophy at Roger Williams University, USA. Diana Neiva is a Researcher at the Mind, Language, and Action Group of the Institute of Philosophy of the University of Porto, Portugal. Steven S. Gouveia is a Ph.D. candidate at the University of Minho, Portugal. He is the co-editor of Perception, Cognition, and Aesthetics (forthcoming, Routledge).